Turmeric, Curcumin, and Cancer: What’s the Research? Turmeric is a root, appearing similar to ginger, with a very mild bitter and spicy flavor, often found ground in the spices section of your grocery store. As one of the main spices found in curry, you may recognize turmeric by its bright yellow/orange hue. Due to its mild flavor, many chefs are incorporating turmeric into their dishes solely for its bright color! One of the components found in turmeric is called curcumin, which is an antioxidant in the polyphenol family that has anti-inflammatory, anti-viral, anti-bacterial, and anticancer properties. Used for centuries in Chinese and Indian medicine, turmeric has been used to treat a wide range of ailments including various skin conditions, respiratory disorders, gastrointestinal distress, and infections (parasitic, viral, and bacterial alike). In addition to its widespread ability to help treat many ailments, there are few side effects for the majority of people. The major drawback in using curcumin has been a low bioavailability, therefore the formulation and delivery of the substance must be carefully considered. The use of nanoparticle technology has allowed for increased bioavailability, resulting in up to 27 times greater absorption in human studies when taken orally. Traditionally, turmeric is used with black pepper in cooking. Piperine, a main component in black pepper, has been shown to increase curcumin bioavailability by 2000%. 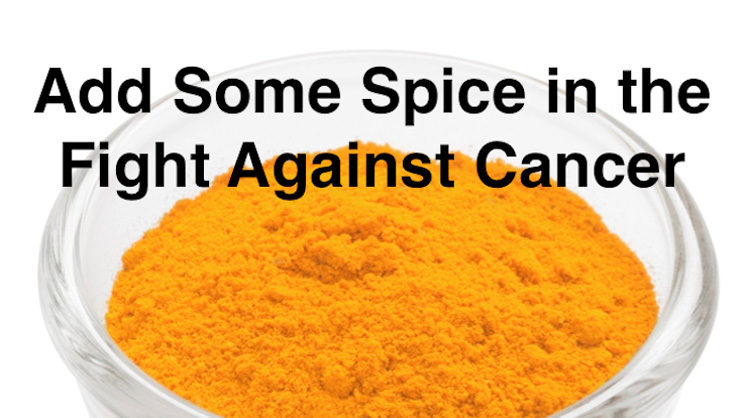 Much attention has been paid to curcumin use for cancer prevention and treatment including leukemia, breast, colon, prostate, and pancreatic cancer. Studies have shown curcumin increases tumor cell death (apoptosis) while stopping tumor cell growth (proliferation). Researchers injected human pancreatic cells into mice to study the effects of liposomal curcumin on tumor growth and discovered the mice given curcumin had a 42% decrease in tumor growth compared to untreated mice. Researchers studied the effect and tolerance of a nanoparticle formulated type of curcumin (Theracurmin®) given orally to patients with advanced pancreatic or biliary cancer with gemcitabine based chemotherapy. Patients reported improvements in fatigue, overall function, and appetite. Toxicities were comparable with those expected from standard. Two patients reported increased abdominal pain after receiving Theracurmin® however both patients had dilated colons. Since curcumin can be an intestinal irritant, the authors recommend caution in the use of curcumin in such circumstances. Listed as a potential conflict of interest, two of the study’s authors are involved with Theravalues Corporation, the company that manufactures Theracurmin®. What does all this mean for you or your loved ones suffering with pancreatic cancer? Curcumin has been shown to be effective in limiting tumor growth in controlled animal based studies. A small phase 1 human trial showed curcumin is generally well tolerated when given with chemotherapy and may improve certain aspects of the patient’s quality of life. While it may be too soon to run to your local supplement store and stock up on curcumin in pill form, feel free to add turmeric (remember that yellow spice that curcumin is found in?) to your food. Turmeric compliments salads, casseroles, and omelets well. Don’t forget to sprinkle on some black pepper to make sure you absorb well, and feel free to enjoy this golden spice as part of your diet! Mega doses of curcumin may worsen certain conditions such as gall bladder problems, reflux, or other gastrointestinal disorders. If you are taking blood thinners, or are having surgery within two weeks, you should avoid supplemental curcumin as it may cause extra bleeding. Always discuss taking a supplement with your health care provider to be sure it will not interfere with your medications or worsen any medical conditions you may have.